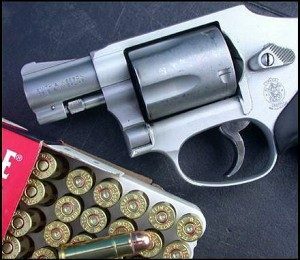 As one of the most popular calibers on the market, it can be expected that buying ammo online for your .38 Special is an easy task. Rather, it should be an easy task, but the popularity of the caliber means that a plethora of sites offer the product, some at ridiculous prices. What often happens is slow or non-existent service, inflated shipping costs, or the items always seem to be out of stock. I believe in loyalty and that sure-fire service and quality ammo is worth a few pennies more. Even if your site of choice offers the best ammo prices, don’t waste your time and money on some anonymous site that may or may not deliver your ammo. Stick with the tried and true – it will never fail you. Our top choice to buy ammo online is Ammo.com. The site is operated by a team that offers low prices on ammunition and fast service. Orders placed before 3 PM will ship the same day. Orders placed later will ship the next business day. The website is divided by brand and caliber, making it easy to find what you need. In addition to products and service, Ammo.com ranks as our best online .38 Special ammo store because of their support of Second Amendment rights. Known as America’s Pro-Freedom Ammo Source, Ammo.com defends our right to bear arms. The company provides a forum for gun owners and freedom fighters to exchange ideas and steps up to the plate by donating to the customer’s choice of organizations like the NRA, Armed Citizens’ Educational Foundation, Homes For Our Troops. and the Institute for Justice. They also operate a Resistance Library, filled with informative and useful articles on everything from law to self-defense. Academy Sports – Academy Sports is a nationwide sporting goods store that also has a strong online presence. The easy to use site offers low prices on ammo as well as reloading supplies. Ammo can be bought in bulk, so you’ll never run out. Ammo to Go – Like most grassroots businesses, Ammo to Go started in a garage. Today, they operate a heavily stocked warehouse. Availability is shown online so you never have to worry about back orders. Ammo to Go routinely offers specials but be sure to check often because they sell out fast. Ammunition Store – The name couldn’t be more straightforward. In addition to selling ammo, the site offers a lot of information on buying ammo online. The website isn’t updated regularly, so items may not be in stock. Call before you order. Cheaper than Dirt – Cheaper Than Dirt offers a wide array of accessories and parts in addition to ammo. Ammo can be purchased by the box or in bulk. Searching is made easy as items are divided by caliber and brand. Receives high ratings from customers. GunBuyer – Although it’s a relatively new site, customers rate GunBuyer on a high level. The site is streamlined and simple, offering good prices, and fast shipping times. Lucky Gunner – Lucky Gunner appears at the top of many lists of where to buy ammo online. Like GunBuyer, Lucky Gunner routinely receives high marks from customers for low prices. The site also offers a shipping cost estimator so you aren’t left wondering about additional charges. Lucky Gunner also has a live inventory count, so you will never have to worry about back orders. Primary Arms keeps true to its word and is known for competitive pricing and excellent customer service. SGAmmo – This site usually falls at the top of best places to buy ammo online. They offer a wide selection and fast shipping times. Often referred to as Amazon.com for ammo, SGAmmo is known for hands-on customer service. Sportsmans Guide – Sportsmans Guide has recently updated its image, streamlining its website, making it easier for its customers to find ammo. Customers can search inventory by caliber or brand name. SG claims 300,000 products in its catalogs and website and offers frequent deals.